The need for magnificent and fascinating mushrooms extends far wider and deeper than you might have imagined! Their benefits and health attributes are immense, and we are here to share why they should be at the top of your grocery list for 2019! It’s true that mushrooms were at the forefront of the trending waves in 2018, but now ‘shrooms are going to reign even more in 2019.
Who better to inform about one of the “it” produce items of the year than the folks at the Mushroom Council (TMC)—composed of fresh market producers and importers. And, just to keep you in the know of how this all works, the mushroom program is authorized by the Mushroom Promotion, Research and Consumer Information Act of 1990 and is administered by The Mushroom Council under the supervision of the Agricultural Marketing Service at the USDA. So, mushrooms have a lot of attention and are supervised closely! 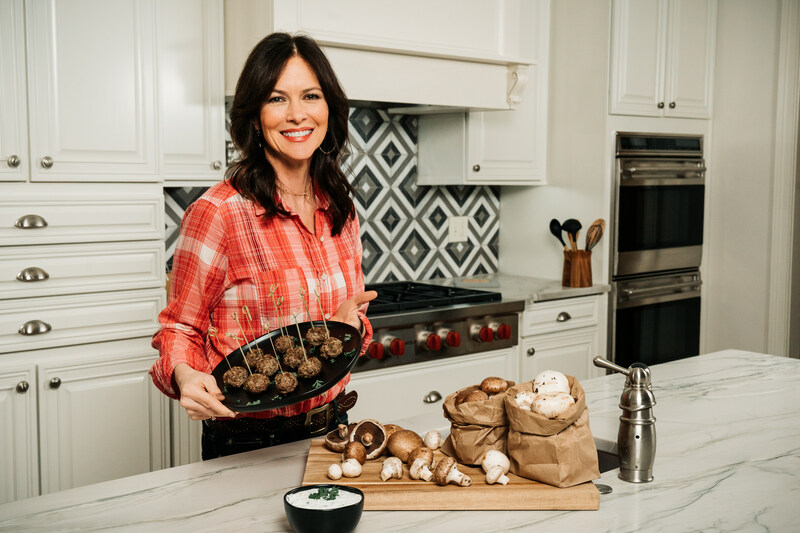 Not only are mushrooms always in season and grown year-round, there are ample varieties with distinct flavor and nutrition profiles – good for different health benefits and for different uses. 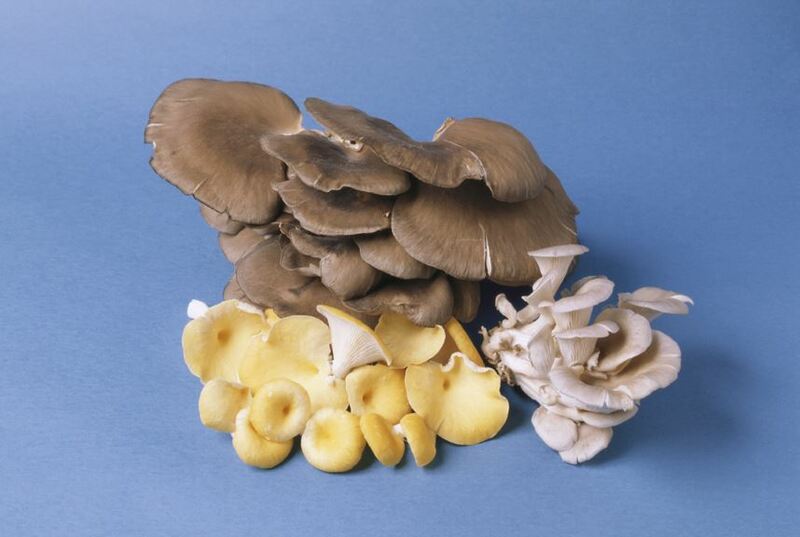 The Mushroom Council features eight edible varieties on their website—white button, crimini, portabella, shiitake, oyster, enoki, beech, and maitake, and we urge you to explore each variety there. You'll find interesting facts, flavor & texture, preparation & uses, nutrition facts, as well as featured recipes. 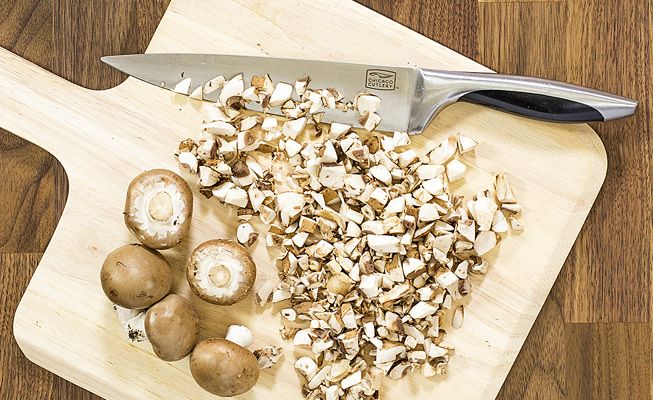 You’ll learn which variety is the most popular for cooking, why you shouldn’t toss out the stems of shiitake mushrooms and the dangers of consuming wild mushrooms. B vitamins help to provide energy by breaking down proteins, fats and carbohydrates. Riboflavin helps with the production of hormones and also plays an important role in the nervous system. Niacin helps maintain healthy red blood cells. Pantothenic acid promotes healthy skin and makes sure the digestive and nervous systems function properly. Selenium works as an antioxidant to protect body cells from damage that might lead to heart disease, some cancers and other diseases of aging. Ergothioneine, a naturally occurring antioxidant, may help protect the body’s cells. Copper helps make red blood cells, which carry oxygen throughout the body and helps keep bones and nerves healthy. Potassium aids in the maintenance of normal fluid and mineral balance, which helps control blood pressure. It also plays a role in making sure nerves and muscles, including the heart, function properly. Vitamin D helps build and maintain strong bones by helping the body absorb calcium. Promising research on the anti-cancer qualities of mushroom extracts makes it a research area worthy of further attention. Scientific research at City of Hope, world leader in the research and treatment of cancer, diabetes, and other serious diseases, finds that mushrooms could suppress growth of breast cancer and prostate cancer cells in cell cultures and in animals. City of Hope researchers have also conducted a small clinical trial in patients with prostate cancer using powder made from white button mushrooms. 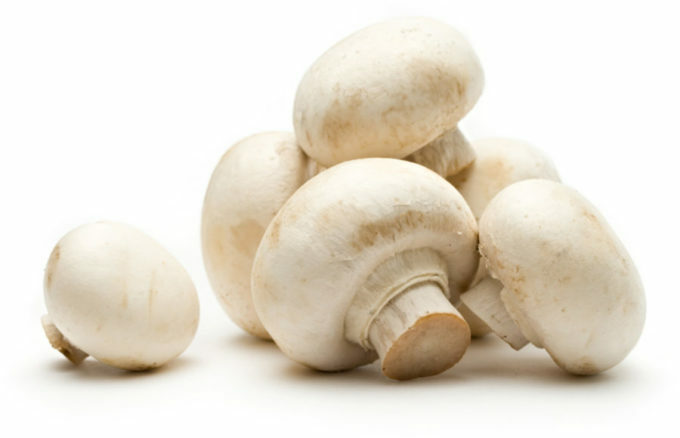 If these studies keep yielding positive results, the white button mushroom may enter an unexpected spotlight. Mushrooms are as gentle on the planet as they are healthy on your plate. Researchers have deemed them “one of the most sustainable produced foods in the United States.”* Earth-conscious consumers will be happy to know that producing one pound of mushrooms requires only 1.8 gallons of water, 1.0 kWh of electricity, and generates only 0.7 lbs of carbon dioxide. Because mushrooms are grown in beds of composted agricultural materials, that material is recycled into potting soil after harvesting. Talk about good for the planet! ‘Shrooms have already debuted in teas, coffee, desserts, jerky, and even cocktails, so why not burger meat? Finely chopped mushrooms are being blended with meat for burgers that are healthier and more flavorful—AKA “the blend.” Sounds odd, but mushrooms provide meaty-like flavor to dishes, perfect for consumers who are craving more plant-based meals. Versatility of kind also means versatility of use. Recipes abound, which is probably why “Slow Cooker Chicken and Mushroom Stroganoff” was the most-searched slow cooker recipe on Pinterest, with nearly 300,000 saves. So make some room for mushrooms and connect with other mushroom lovers following @mushroomcouncil via Instagram or have a fun(ging!) time navigating the Mushroom Council website to learn more about our favorite earth oddity. *Citations: Report researched and developed by SureHarvest, a leading sustainability analysis and research firm, The Mushroom Sustainability Story: Water, Energy and Climate Environmental Metrics 2017 study is the result of a two-year initiative to document mushroom production environment metrics.